No, no worries. I'm not going to look through adverts for a new hoomin while you're out. No, no, not while we are out. 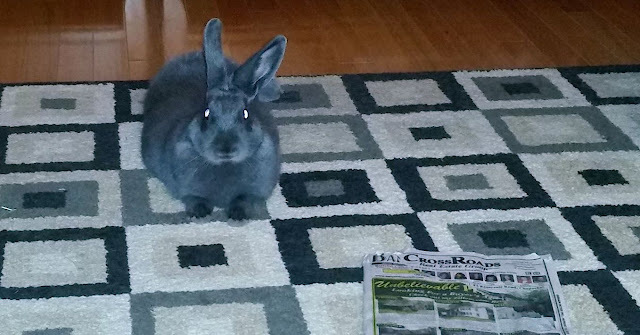 I can tell you for sure that our little guys make a BIG PRODUCTION of going through the classifieds while we finish our meager allotment of gruel prefatory to leaving for the tar pits. A friend actually told me that if you don't see them making a big point of it, they are looking for a hit squad. This appears to be a replacement for the old game of Chess. I don't think I want to play.